What's Canada's best advisor market? 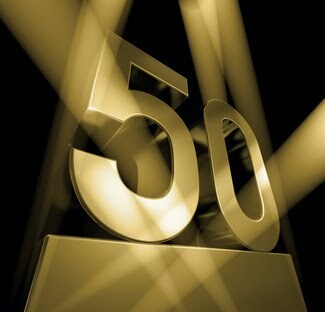 WP released its second-annual Top 50 financial advisors list last Friday. There were some interesting results from a geographical perspective. How did your city or province fare in this year’s survey? We break it down. This year’s list used several criteria for determining who made the Top 50. One of them: Average AUM per client is the figure we’ll use for this article in order to determine the winners and losers by city and province. We could use other statistics but this seems like the simplest way. Provincially, Ontario has the most advisors on this year’s list with 25, exactly half the entire total coast-to-coast. Take a bow, Ontario. In terms of AUM per client the average in Ontario works out to $754,704 with Northland Wealth Management CEO Arthur Salzer taking top prize with $2.45 million per client. Across the country in beautiful B.C. the eight advisors who made this year’s Top 50 didn’t quite match the firepower of Ontario’s advisors generating average AUM per client of $629,417, 16.6 percent less, but still pretty darn good. Individually, the best performer from B.C. was Tom Pownall, an advisor with Sigma Wealth Scotia McLeod in Vancouver whose AUM per client was an eye-popping $1.1 million, almost $300,000 more than the next highest B.C. advisor. When you consider that the average AUM per client is $577,194 for the entire TOP 50, the numbers put up by both Salzer and Pownall are quite impressive indeed. Rounding out the top five provinces in terms of advisor representation are Quebec and Manitoba, tied at five each, with Alberta next in line at four. Thanks to Edmonton-based CIBC Wood Gundy advisor Lyle Rouleau, whose AUM per client was $1.51 million, Alberta managed to beat out all the other provinces for best AUM per client at $839,115, a number that’s better than even Ontario and B.C. Alberta might be struggling a tad but the same can’t be said of advisors in the Wild Rose Country. But what about Canada’s biggest cities? How did Toronto, Montreal and Vancouver fare? Toronto ranked first with 15 advisors generating AUM per client of $680,445; Montreal with five advisors and AUM per client of $462,140; and Vancouver with three advisors and AUM per client of $776,067. With Alberta doing well, Calgary had a good showing this year with three advisors making the list at an AUM per client of $681,967, a number that’s only slightly lower than Vancouver’s. WPs Top 50 Financial Advisors produced some terrific numbers in 2014, but nowhere were they better than in Canada’s biggest cities and provinces, a result that’s not unexpected.